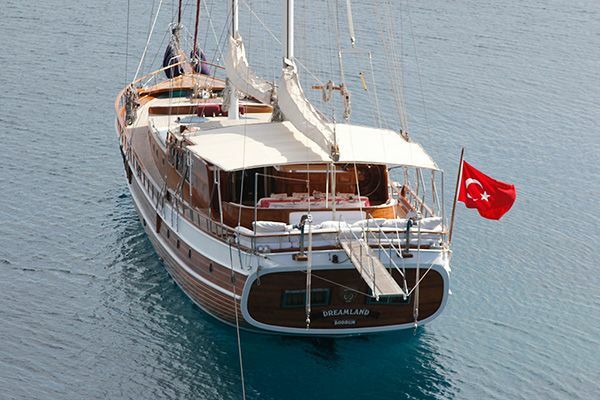 Gulet Carpediem 4 | Exclusive yacht for charter in Turkey & Greek Islands. 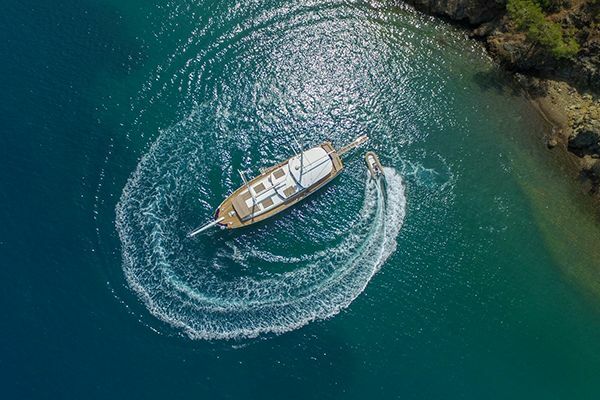 The grandly elegant 47 meter exclusive gulet Carpediem IV was built to the traditional true gulet design in Bodrum, the centre of boat building experience and craftsmanship on the Turkish Aegean. Exquisite mahogany timbers were used throughout the gulet by the master carpenters and builders. Up to twelve guests will enjoy the space and comfort of six cabins: one Master cabin in the bow and one in the stern enjoy the full beam width while two double and two twin bed cabins are spacious with large beds and wardrobes. The master stateroom in the stern of Luxury Yacht Carpediem 4 has a king size bed, a chic couch with cushions to one side, and is filled with daylight from the large rear windows and the portholes to both sides. Full size mirrored robes enlarge the cabin, a vanity desk is available and the luxurious bathroom is separated from the room by a custom made curved stained glass wall. In the bathroom, the mahogany and natural marble complete one another perfectly and a walk-in shower is installed. Two twin bed cabins are located near the aft master cabin. The VIP cabin in the bow is again spacious, comfortable and elegantly designed. Beside it a walk-in sauna offers a unique relaxation time aboard a gulet. Two spacious double bed cabins are located between the VIP cabin and the indoor saloon. All cabins on sailing yacht Carpediem IV have a separately adjustable air-condition, well-appointed bathrooms with walk-in showers and LCD TV, DVD and music system. The private bathrooms are designed and enhanced with the finest marble. Sound-insulated thick mahogany walls ensure privacy of the guests. The spacious saloon offers comfortable seating with a large L-shaped sofa set apart from a long dining table with a seating bench for enjoyable dining indoors. Plasma TV, DVD- and music system offer entertainment for the guests while the windows allow generous daylight into the saloon. 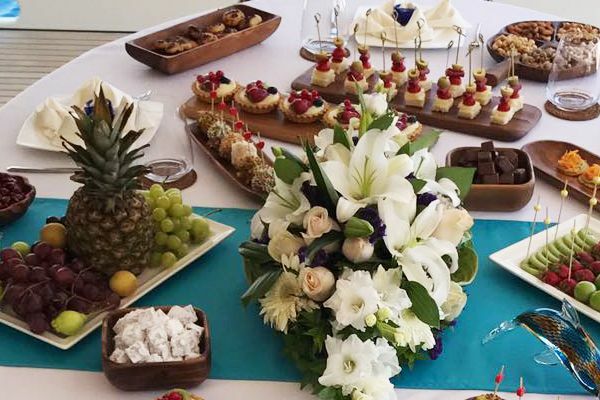 The relaxation areas on deck are the classic gulet attractions: the wide aft deck offers the joys of dining al fresco at the outdoor dining table and also the wide bank of cushion pads across the curved stern which can catch the sun or by shaded by shade sails. On the middle deck sunbeds invite the sun worshippers among the guests, on request they can be shaded. 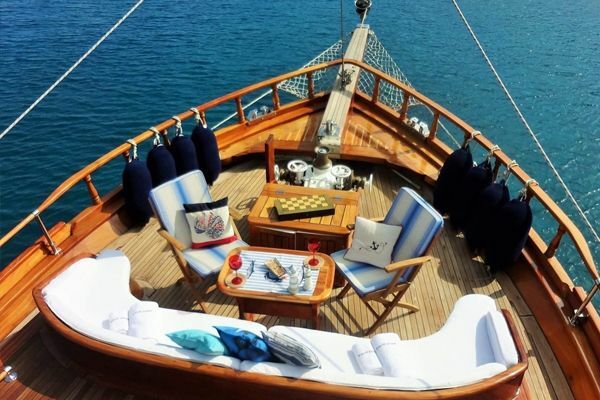 On the foredeck there is a wonderfully inviting curved seating bench with a small table to enjoy the sights on the passing landscape of the Turkish coast or for enjoying sunset drinks while the gulet Carpediem IV rests in a tranquil bay. 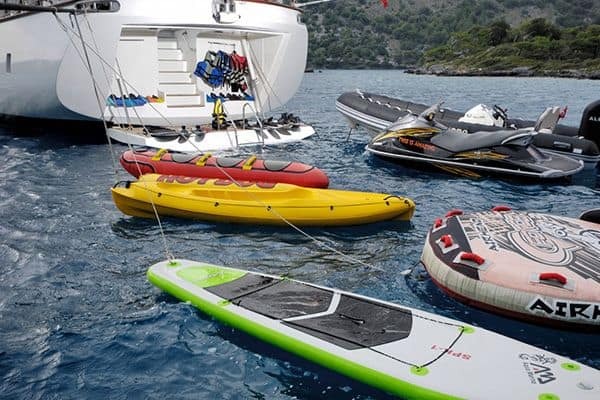 A gulet charter cruise on the VIP gulet Carpediem IV along the magical turquoise waters of the Turkish Riviera and the East-Mediterranean is a memorable experience.